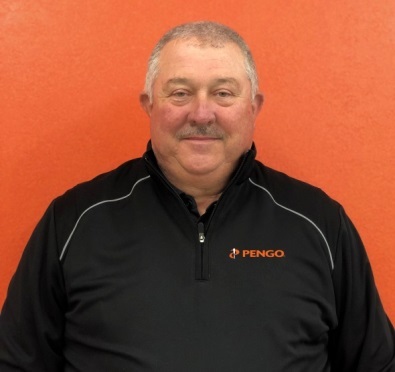 Pengo is pleased to announce the appointment of Gregory “Greg” Carroll to the position of Territory Manager for the Southern Region. Greg has over 30 years’ experience in the Construction Equipment, Rental, and Auction/Equipment Remarketing industries, and he’s worked for world class organizations such as Hertz Equipment Rental (HERC), Carolina Tractor (The CAT Rental Store), Volvo Equipment Rental (Volvo Rents), SkyJack, and Iron Planet. Greg obtained his Bachelor’s Degree from the University of North Carolina – Charlotte, and he now resides in Stanley, NC (Charlotte) with his wife Elaine. Greg enjoys golfing and hunting, and he is a longtime fan and season ticket holder for the University of Tennessee. This is most fitting as he now dons “Pengo Orange”. Please join us in welcoming Greg to the Pengo Team!